§1 A room is let for a hotel day. A hotel day is from 2 p.m. to 10 a.m. of the following day. The Guest is charged for a stay on the day of arrival (in advance). §2 Persons who are not registered in the building may stay in a hotel room as visitors from 9:00 a.m. to 10 p.m. The visitor’s stay after 10 p.m. means acceptance by the Hotel Guest who the room is let to for chargeable accommodation of the visitor in the Guest’s room according to the full prices valid on the day of the accommodation. Willa Kurant may refuse to accept Guests who during the previous stay blatantly violated the hotel terms and conditions. §3 Willa Kurant provides services according to the own standard. If there are any reservations concerning the quality of services, the Hotel Guest is asked for reporting them to the reception as soon as possible which allows for an immediate reaction. Willa Kurant will do the best as much as possible to mitigate any inconveniences. §4 The guest shall inform the reception about any damage which has occurred in the room without any due delay after its noticing. 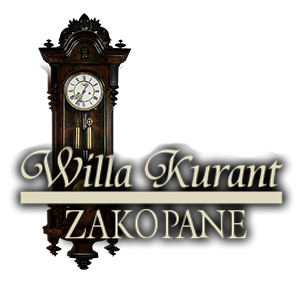 The Willa Kurant Guest bears financial responsibility for any kind of damage or devastation of objects, furnishings and technical devices of the building caused by their fault or the fault of their visitor. When losing the key, a fee in the amount of 50 PLN is charged. §5 Keeping silence in the rooms is obligatory from 10:00 p.m. to 9:00 a.m. of the following day. Behaviour of guests and persons using services in the building shall not violate a peaceful stay of other Guests. §6 If the Guest rescinds the booking, 50% of the total amount of the advance payment for the stay is charged. There is a possibility of making use of the advance payment for any other stay within 3 months if the rescission is done no later than 2 weeks before the date of booking. If the Guest does not arrive on the day of the beginning of booking, the stay will be cancelled. If the Guest leaves earlier Willa Kurant will refund the amount of 30% of the unused service. enter the building in ski boots and take skis to the room, smoke in the whole building except from the Room for smokers, due to fire safety use electric immersion heaters, irons and any other devices not included in furnishings of the room. §8 The Hotel Guest shall agree for processing of personal data for registration purposes and placing the Guest’s data in the database of Willa Kurant according to the Act of 29 October 1997 on the Protection of Personal Data (Journal of Law No 133 of 1997; item 883 with amendments).